Emily believes that acupuncture can help anyone live, and enjoy life more fully. She loves listening to her clients and tailoring treatments to their individual needs. Emily specializes in treating women (including fertility), and the senior population. She earned her Master of Acupuncture degree from Tai Sophia Institute (now the Maryland University of Integrative Health); one of the first regionally accredited acupuncture schools in America. She has been a licensed acupuncturist in the state of Maryland since 2012 and is an active member of the Maryland Acupuncture Society. Her path towards becoming an acupuncturist was a led by a convergence of factors, including having an acupuncturist as a neighbor when she was a child; her study of feng shui as an art history student in college (which lead to learning the classical Chinese philosophies that also govern acupuncture); and her innate belief that the body and the mind are deeply connected. 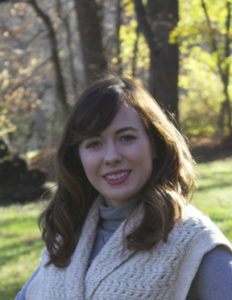 In addition to acupuncture, Emily is also a certified wellness coach and a reiki practitioner. She is a firm believer in the healing power of laughter. In her free time Emily enjoys hiking, cooking, playing board games with friends, and exploring local historic sites. Emily is in network with Blue Cross/Blue Shield, Cigna and Aetna plans.